Honda just revealed the tenth-generation of its iconic car, Civic at a special event in Los Angeles. 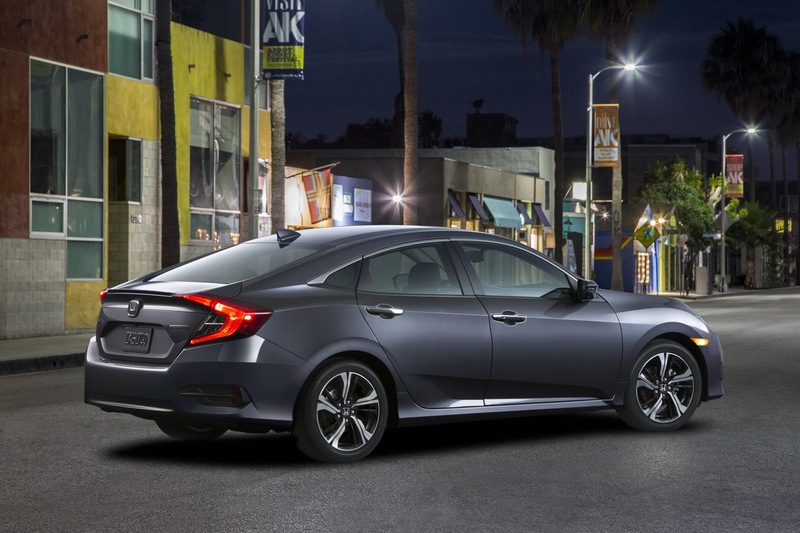 2016 Honda Civic brings a lot of new things, including new design, new chassis, new technology, new engines, and a new body style for US market, 5-door hatchback. Interesting! 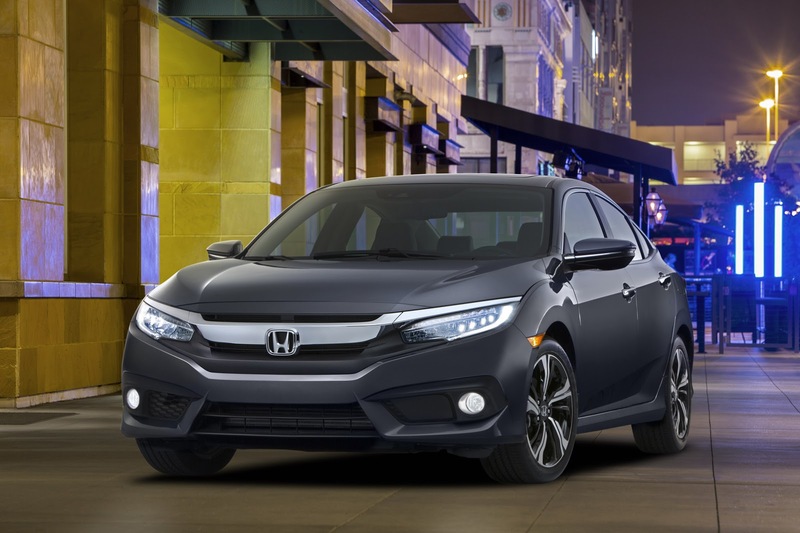 New Civic is designed based-on Civic Concept that made its debut at 2015 New York Auto Show. Compared to the concept, the production version comes up with more elegant design. Of course, Honda’s designers have done some changes in the some parts of its exterior. Up front, Honda redesigned its headlights that features LED headlights. The chrome accents are on the grille and above the headlights. At the rear, the C-shaped taillights is taken from concept version. The new chassis features a revamped strut front suspension and a new multi-link rear suspension mounted to an ultra-rigid rear subframe, while other notable changes include variable gear ratio steering, beefier front and rear stabilizer bars, standard 4-wheel disc brakes and the application of Honda’s Agile Handling Assist brake-torque vectoring technology. 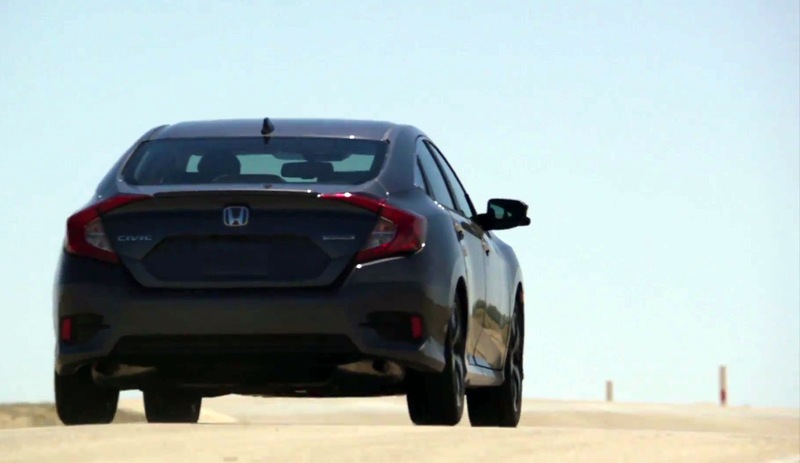 Under the hood, Honda offers new engines, The first powertrain is a 1.5 liter 4-cylinder turbo (this is the first ever Honda with turbo in the US) which produces 173 hp. It means that 30 hp more power than current 1.8 liter engine. Another engine is a 2.0 liter i-VTEC 4-cylinder producing 158 hp. For the gearbox, if you bought 1.5 liter, you only get a CVT transmission, but if picked 2.0 liter you can choose a 6-speed manual transmission or a CVT transmission. Honda Civic’s latest features is a 7-inch HD Display Audio touchscreen that runs both Apple CarPlay and Android Auto. After launched the sedan, Honda is expected to release Coupe, Si, 5-door hatchback, and Type R to compete with Ford Focus RS. Previous Previous post: Frankfurt Highlights: The Italians Go Fast. So Fast For Sure.